Global plastic consumption, and thereby, global plastic waste is a HUGE problem. All over the world, plastic bottles, bags, wrappers, etc. are used once and then discarded. Studies show that only 1 in 5 water bottles are recycled and you can bet that number is even lower for plastic shopping bags. So where does all that un-recycled plastic go? More often than not it ends up in our oceans. Every year, 6.4 million tons of plastic are dumped into the ocean and that’s not even counting plastic that is littered or tossed into rivers that eventually makes it way to the ocean as well. Plastic takes hundreds and hundreds of years to biodegrade, so once it reaches the ocean it stays there, FOREVER! And all the while it wreaks havoc on ocean ecosystems. Every year, 10,000 marine creatures and approximately 1 million sea birds die from ingesting or being stuck in plastic waste. Scientists have identified over 200 “dead zones” in the world’s oceans where no organisms can grow. Plastic waste has become a major global epidemic, and the first step towards combating this issue is to adjust consumption habits on the individual level. 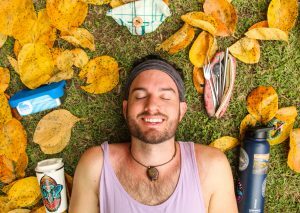 We know that as travelers, we are especially susceptible to using unnecessary plastic: we are always on the go, eating out every meal, and traveling through less-developed countries where you can’t drink the tap water and don’t have the recycling and waste management infrastructure of The USA and Europe. 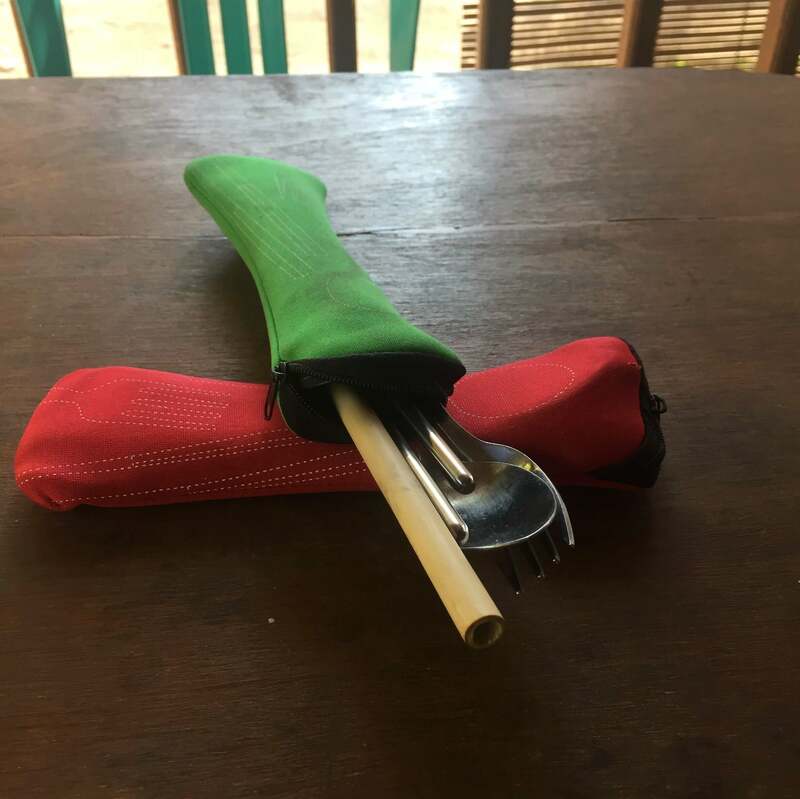 We have made the reduction of single-use plastics one of the tenants of our travel philosophy at The Green Shoestring. Here are 6 easy ways you can use less plastic when traveling. 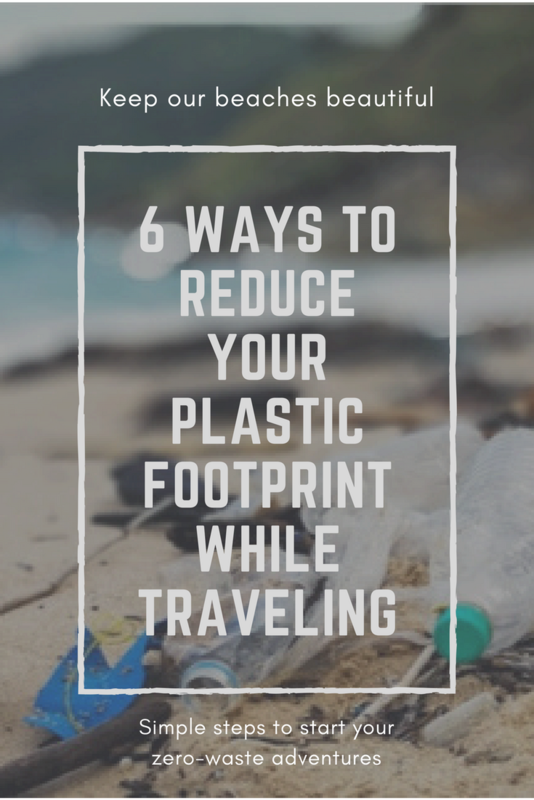 We hope that you will find these tips helpful and will inspire you to be more conscious of your plastic use on your next trip! 1. Say no to plastic bags and straws! This one is a no brainer and something that EVERYONE should do, regardless of if you are traveling or not. This is about the easiest thing you can do to use less plastic when traveling. Single-use straws are ABSOLUTELY unnecessary. Their lifespan is about as long as it takes you to finish your drink. Always ask for no straw when we order drinks or smoothies. When it comes to plastic bags, we understand their convenience. There is an easy solution for this that is just as convenient: reusable shopping bags! We choose to carry around a couple of with us that are great for carrying extra things to the beach, holding dirty laundry, or carrying beers and snacks back from the market. We’re aware that this isn’t exactly a stroke of planet saving genius, but you would be amazed at how many people traveling or on vacation don’t have reusable water bottles. In Asia and South/Central America, without a water bottle its pretty much guaranteed that every drop of water you drink will come from a single-use plastic bottle. 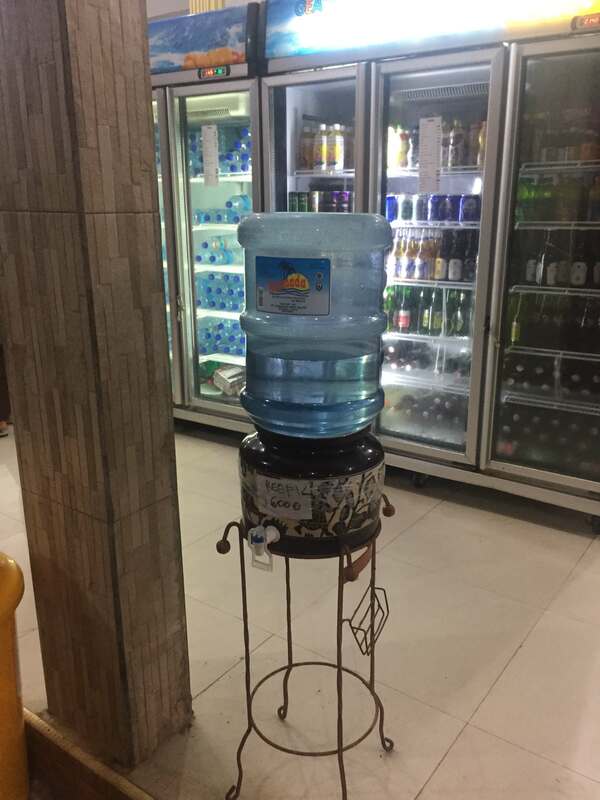 We both carry water bottles with us and fill them up whenever we can, be it at water fountains in airports or at hostels/restaurants with large water jugs. One brand that we love is Hydroflask. They make metal insulated water bottles (no plastic!) that keep your liquids cold (or hot) for hours and hours. 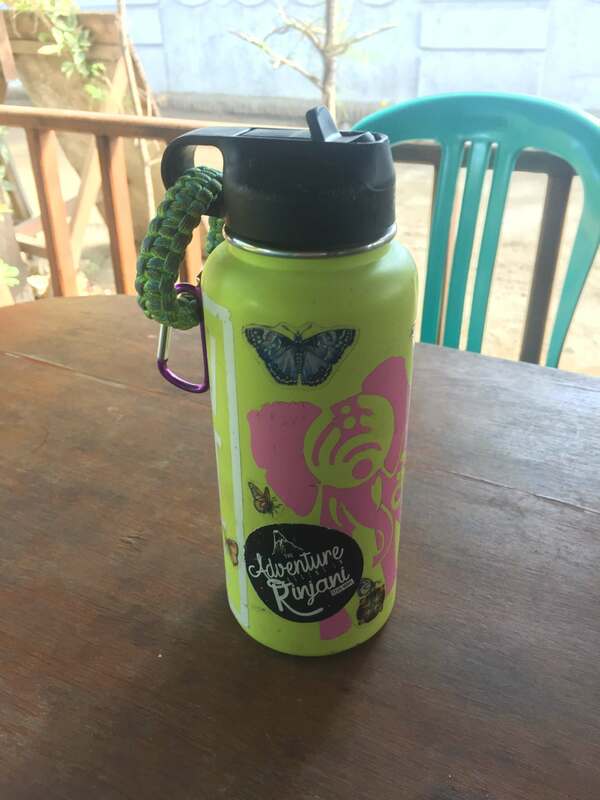 I can’t even count how many times refreshing, cold water from the Hydroflask has been a godsend in the sweltering heat of Southeast Asia. When you travel, all kinds of situations pop up where you want food to-go. 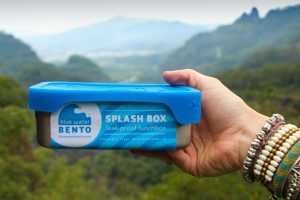 Sometimes you want something to eat on a hike, or want to take lunch to the beach, or just want to take food back to your guesthouse or hostel. When traveling in Southeast Asia; and probably just about everywhere else in the world to be honest, it’s a good bet that to-go food will come in a plastic container. Our solution is collapsible food storage containers that fold up to nicely fit in our packs, but expand to easily carry a whole meal. We bought ours in China, but there are tons of affordable options on Amazon. To cut down on packaging, you could probably get them in a grocery store or supermarket as well. If you haven’t picked up on it yet, thoughtful packing goes a long way towards helping use less plastic when traveling. 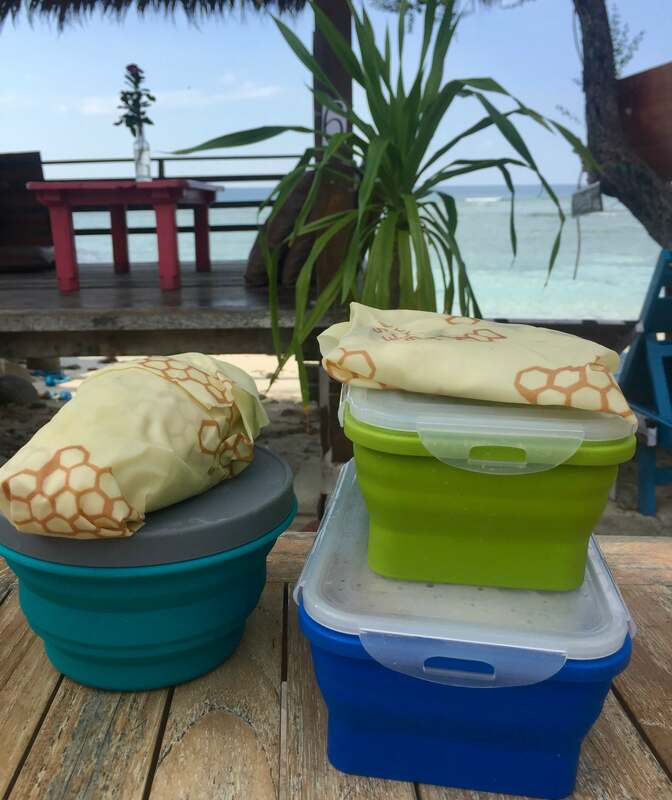 If you think about the times you will potentially use single-use plastic and pack accordingly, it can make a world of difference. Single-use plastic water bottles are one of the main contributors to plastic waste contaminating the planet’s oceans. Sadly, there are many situations where consuming them is unavoidable. However, we want to do our absolute best to avoid purchasing single-use bottles whenever possible. 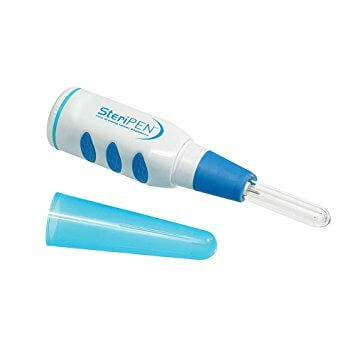 Along with reusable water bottles, we also carry a Steripen with us while traveling. The pen uses UV light to kill viruses and bacteria. It’s incredibly easy to use; it takes about a minute of stirring to sterilize a liter of water. We do a lot of hiking and trekking, and any time there’s a fresh water source, we use the pen to fill up our bottles. It doesn’t eliminate chemicals or hard minerals, so I wouldn’t recommend using it on tap water in developing countries. This solution only works in certain situations, but we look at it like this: every time we fill up our bottles and use the Steripen, that’s one more plastic bottle guaranteed not to end up in the ocean. These are 6 pain-free ways to use less plastic when traveling. We know they aren’t end-all-be-all solutions. Some of these items themselves are made of plastic, and there are times when you will have no choice but to buy plastic water bottles. But by the time the life of these items come to an end, they will have helped cut down on hundreds of pounds of plastic waste, and we passionately believe that the net impact of these strategies will be a positive one for the health of our planet. 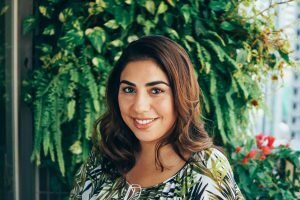 We are always looking for ways to be more eco-friendly travelers. 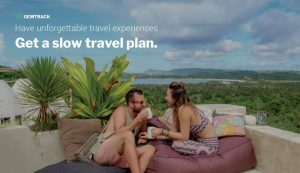 What things do you do to be a more sustainable traveler? Comment and let us know! I love the collapsible containers! I have some reusable silicon ziplock bags I bought because Tupperware is so bulky but I’ve never seen those before!! Hey Amanda! We’ve been loving our reusable silicon bags lately. They are the perfect swap for ziplock bags. 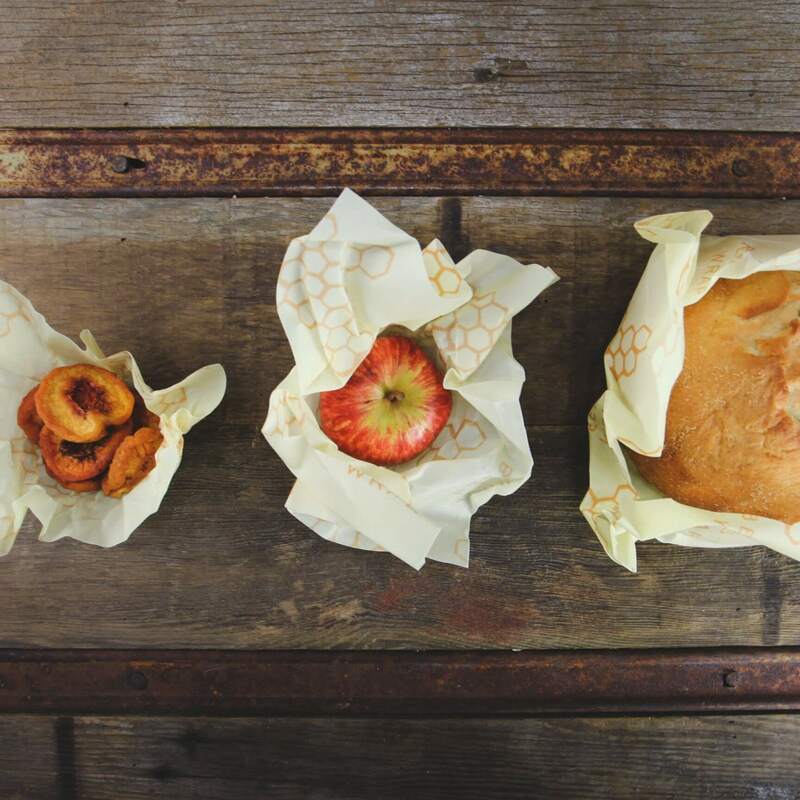 Another thing we use a lot especially when traveling is beeswax cloth wraps. They are perfect for wrapping up snacks, sandwiches, fruit, etc. And when they aren’t in use they take up literally zero space. Hope all is well!